If you want to set up different AWS accounts to perform different tasks, such as testing, staging, and production, you can add, edit, and delete accounts using the AWS Toolkit for Visual Studio. In Visual Studio, on the View menu, click AWS Explorer. Beside the Account list, click the Add Account button. 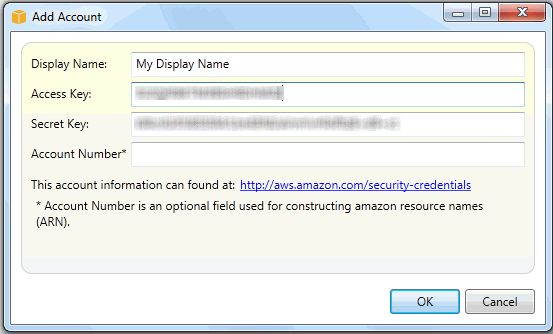 Your account information now appears on the AWS Explorer tab. When you publish to Elastic Beanstalk, you can select which account you would like to use.